The preoperative peripheral neutrophil-to-lymphocyte ratio (NLR) is associated with a poor prognosis for various cancers. We evaluated the prognostic role of the preoperative NLR in patients with thymoma. We reviewed the medical records of 254 patients who underwent resection of thymic epithelial tumors at our institution. Patients were excluded if they had received steroid therapy, neoadjuvant therapy, or incomplete resection, or if they had thymic carcinoma or Good’s syndrome, recurrence of thymoma, or missing data. The NLR was measured preoperatively, and outcomes of patients with a low (< 1.96) vs those with a high (≥ 1.96) NLR were compared statistically. Of 159 eligible patients, 59 (37.1%) had a high NLR and 100 (62.9%) had a low NLR. Overall survival (OS), recurrence-free survival (RFS), disease-specific survival (DSS), disease-related survival (DRS), and the cumulative incidence of recurrence (CIR) differed significantly between the groups. Multivariate analyses revealed that a high NLR was independently associated with disease-related survival and a cumulative incidence of recurrence. A high NLR was also associated with a higher risk of recurrence of Masaoka stage I or II thymoma. 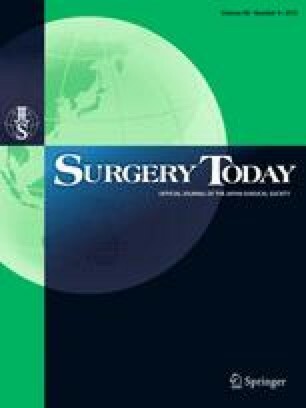 An elevated preoperative NLR was associated with poor outcomes after thymoma resection. Thus, the NLR may be a useful biomarker of the postoperative prognosis of thymoma. Drs. Yanagiya and Nitadori planned the study and analyzed the data. Dr. Yanagiya wrote the manuscript. Drs. Nagayama, Anraku, and Sato supervised the study. Professor Nakajima supervised the study and edited the manuscript. All authors approved the final version of the submitted manuscript.